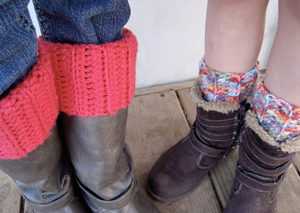 10 Hot and Free Boot Cuff Patterns to Make Today! 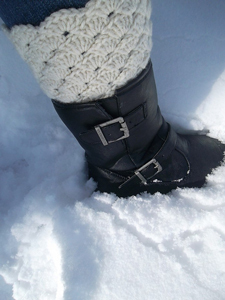 It’s boot season once again in the Northern hemisphere – and they’re sure to be a wardrobe staple! Boot cuffs are a great way to set your look apart, and they’re practical too – adding a great layer of warmth and keeping out drafts (and leaves… and snow!). 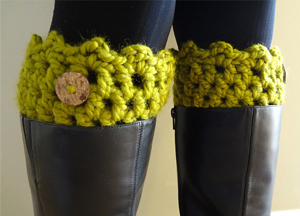 Crochet boot cuff patterns are almost always super easy to adjust for size, as well as stretchy – so you don’t have to worry about making a pair that fits. And since most take just a few yards of yarn and work up fast, it’s a great gift or craft fair project! 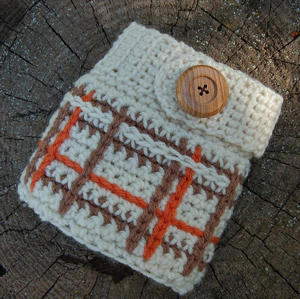 So for this roundup I’ve gathered 10 free crochet book cuff patterns – enjoy! Scalloped Boot Cuffs by Jenny Dickens, on Ravelry: These are the most popular boot cuffs on Ravelry, and it’s easy to see why! 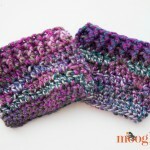 Thistle Boot Cuffs by Mia’s Heartful Hands: Boobles and clusters make these cuffs feminine but bold. 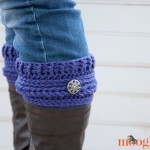 Bow Boot Cuffs by Kim Handzo, on Loops of Lavender: Now these are VERY feminine! So fun! 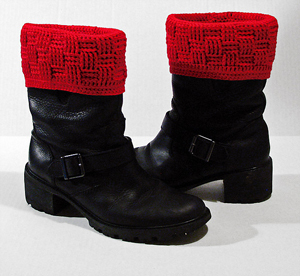 Basketweave Boot Covers by MyntKat, on Ravelry: These cuffs fold right over the tops of the boots for an extra warm fit that stays put! Great for wellies! Brr Boot Liners by Bonnie Irene, on BonBonanza: Love the nested shells that make up this pattern – so beautiful! 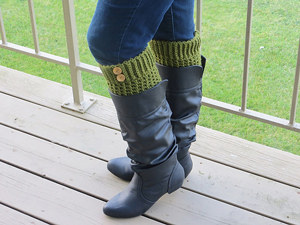 Friendship Boot Cuffs by Jennifer Dickerson, on Fiber Flux: With super bulky yarn you can whip these up in no time flat – make a pair to match every outfit! 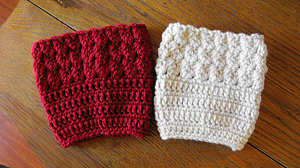 Free Brooklyn Boot Cuffs Pattern on CrochetDreamz: These have a great, classic look – and there is a matching fingerless glove pattern too! A great gift set! Kathy’s Ripple Boot Cuff by Kathy Lashley, on ELK Studio – Handcrafted Crochet Designs: These have fantastic texture, and are a great seller! Belmont Boot Toppers by Jenn Wolfe Kaiser, on Ravelry: Stacked shells and rib stitch make these both pretty and practical! Ribbed Boot Cuff by Sara Freisberg, on tangled happy: Simple, straightforward, and very clean looking. Perfect! BONUS! 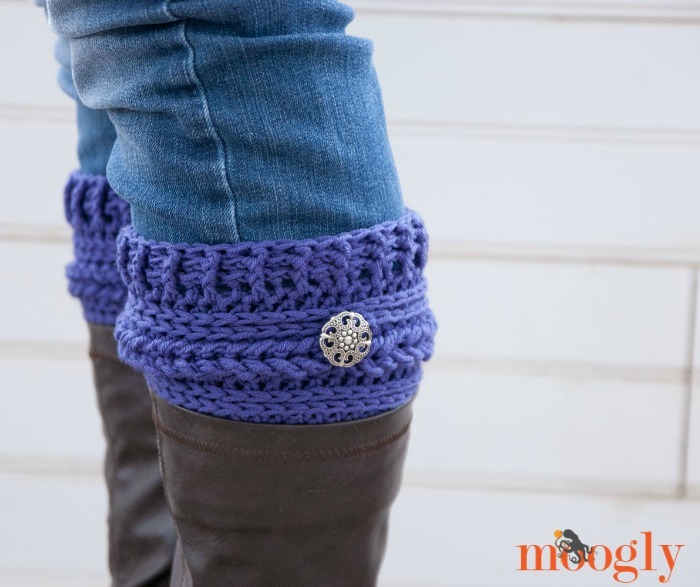 There are now boot cuffs right here on Moogly – the Ups and Downs Boot Cuffs! Don’t miss the matching cowl, hat, and fingerless mitts too! My own boots are all worn out – time to snag a new pair. And as soon as I do I’ll be using these free boot cuff patterns to jazz them up! As a bonus, here’s a great paid pattern I found on Craftsy that really caught my eye – the Perfectly Plaid Boot Cuffs Pattern! Love these! 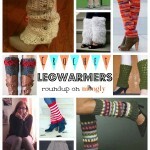 Crochet for Your Calves: 10 Lovely and Free Leg Warmer Patterns! 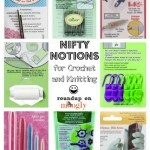 8 Nifty Notions for Crochet and Knitting! You’re very welcome! You too Kathy! 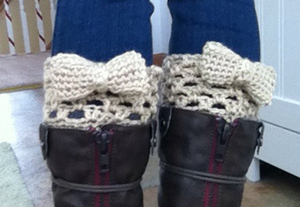 Thank you for featuring my Brooklyn Boot Cuffs. I love some of the others you shared as well. 😀 Thank you for sharing the pattern! 😀 Thanks Sara! Love your patterns! Cute!!! 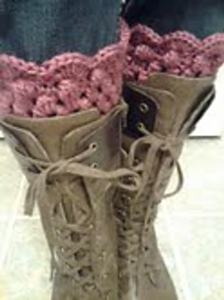 I’m going to have to buy boots just to make some of these. What a great way to change up your outfit, too! Especially no. 4 and 6!..those are one of the most remarkable!..and and and…EXTRA ORDINARY!..may God showers His blessings on you bcox you are always helping me! Can’t download thru link. Can I get patterns thru email? I’d much rather, considering my Droid won’t let me. Please, please, please! 🙂 I so wasn’t to make these for family and friends. Please email patterns to me, many will appreciate. I cannot due that as I’m not the copyright holder, but if you click on the name of each pattern (the blue text) it will take you to the pattern page. There’s only seven of them showing right now but thanks so much for those. Sounds like maybe the page didn’t load all the way? I see 10 (actually 11, as there’s a paid one at the bottom). Sorry for any confusion! I hope so too (and if it is a temporary outage – I totally sympathize)!! Row without a chain between them? I’ve done it that way and it doesn’t look like the picture. Did I just miss something? Love the boot cuffs and thank you for the patterns!!!! I do so appreciate your sharing so many of your beautiful patterns. I’ve done several. Thank you. Thank you so much Mette! I’ll be sure to edit the post! Tamara, I love your round ups – I use them all the time. Thanks for taking the time to do these. 😀 Thank you so much Ericka! I love these! So cute! 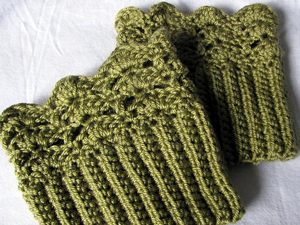 You should do a pattern for a set to match the Moroccan hat cowl and mitts! Thanks, Tamara! I hope you’ll design them soon! I love your designs! Thank you for sharing your beautiful patterns. I am a widow on a fix income and don’t get to buy books or magazines very often so I say thank you again. Fabulous collection of pattern sources. I came looking for your scalloped pattern and found so much more. Thank you. 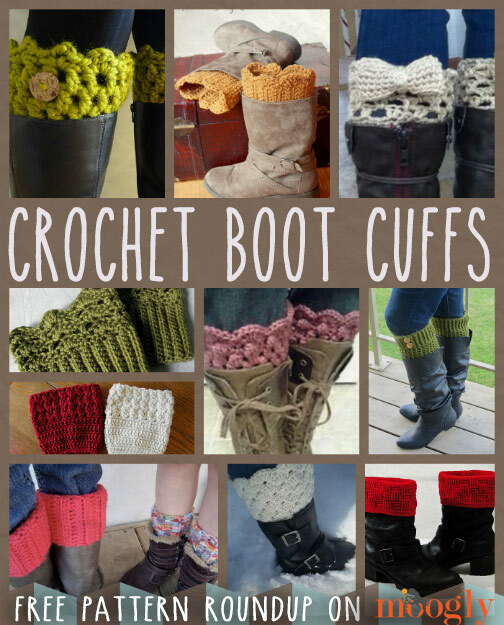 Wondering if anyone has tried to make boot cuffs with Super Bulky weight (8) yarn – either knit or crochet, but preferably knit. Making them for my sister & not sure how to get enough stretch to get them to keep shape. Hi Nancy! I’m afraid I don’t know what pattern you are referring to.